STOCKHOLM – Saab's owner Swedish Automobile NV saw its shares plunge in the first day of trading since it sought protection from creditors. The shares, which haven't traded since Sept. 6 after being suspended at the request of Dutch financial-markets regulator AFM, fell as much as 47 percent to 38 cents and were down 33 percent as of 11:09 CET in Amsterdam trading, valuing the company at 13.2 million euros ($18.3 million). 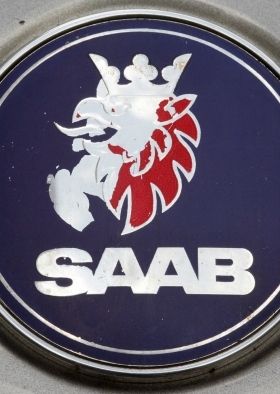 A Swedish court yesterday rejected Saab Automobile's petition for protection from creditors, increasing the risk that the carmaker is headed for bankruptcy as suppliers and workers seek the money they're owed. The Vaenersborg district court ruled against the request for a voluntary reorganization that Saab filed Sept. 7 in a bid to win time to raise money to restart operations and avoid a bankruptcy petition. Saab said Friday that it will file an appeal of the ruling on Monday. Union representatives at Saab, which are seeking payment of last month's wages, are monitoring the situation before deciding whether to seek a bankruptcy application that would be aimed at securing state funds to pay workers. "We're waiting a few days," Per Branneby, head of Saab's engineering union, which has about 500 members, said in a phone interview. "We likely would take action only together with the other unions." IF Metall, the biggest union with about 1,500 members at the carmaker, is meeting daily to discuss the situation, spokesman Lars Ankarfjall said. The union plans to "wait a few days" before taking action, though doesn't rule out making a decision sooner, he said. The carmaker, which employs 3,600 people worldwide, was seeking a court-administered restructuring for the second time since 2009, when previous owner General Motors Co. began liquidating Saab. GM eventually sold Saab to Spyker Cars NV, which was later renamed Swedish Automobile NV, in February last year for about $400 million in cash and shares. Saab hasn't produced cars for months after suppliers halted deliveries because they weren't being paid. Assembly lines at the Trollhaettan factory were first halted in late March. After brief restarts, the plant has been quiet since early June. The company was unable to pay August wages on time, the third consecutive delay, prompting unions to start a process that could have led to a bankruptcy declaration. The unions halted that move Sept. 7 to support the reorganization request.